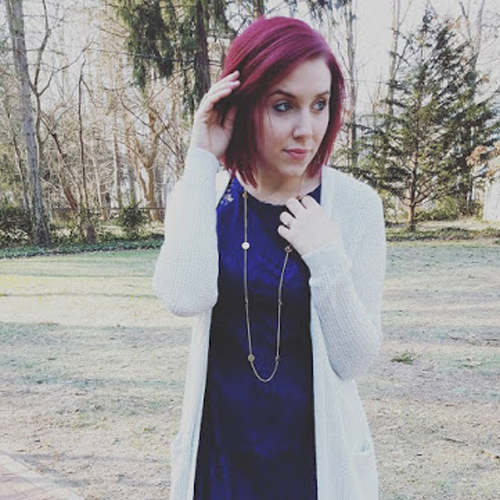 Styled by Stacy: Building a Professional Wear Wardrobe! Building a Professional Wear Wardrobe! While styling for the upcoming fashion show I realized many young professionals are unclear as what to wear in a professional setting. Furthermore not many young professionals own clothing items to make up a professional wardrobe. As I blog about the fashion show, I realized my wardrobe is lacking some basic professional pieces too. Today I wanted to share some of my own insight when shopping and styling for the professional world. My hope is to help the young professionals get inspired and help them navigate the professional world through fashion. When entering the professional world after college money is always tight. You may be ask how do you look work ready on a budget? As much as you may like to shop at the Loft or Banana Republic, which both provide great options for a the workplace, they can be kind of pricey. One of my favorite places to shop for professional wear on a budget is H&M. It’s not just a destination for trendy pieces, it also has a whole section dedicated to professional wear. Right out of college I got two pencil skirts for $15 each and some basic blouse for under $20. H&M is a perfect place to shop when you first enter the working world. Once you land your first job definitely check out the more tailored pieces at Banana Republic or the Loft. If you’re following along with my Fashion Show Diaries, you will know my mom actually worked for the state of Ohio in Worker’s Compensation, when I was growing up. Part of her job was to help people get a new job by guiding them through the resume and interviewing process, and helping them with what to wear. When I had my first interview for my internship in college she gave me a simple, yet important tip. She told me if you are going to wear pants you need to make sure you have a jacket to go with them. If you don't own a suit the other option is a knee length skirt with a blouse, and always wear tights when wearing a skirt. This advice was helpful when I decided to buy items for my professional wardrobe. Some key basics you should start with are a skirt, I like a pencil skirt because it creates a sleek silhouette and looks professional when paired with a nice blouse. I purchased two one in black and one in gray, it's perfect to switch them up when you get called in for a second interview. Black trousers, I actually found a nice pair at Marshall’s. Two to three blouses you can mix and match with your bottoms. Make sure one is white. You can never go wrong with a nice white button up. A blazer, you can find a blazer almost anywhere just make sure it's more tailored, both H&M and Target have good ones. Lastly, a professional dress. I like the pencil skirt dress option, it creates an easy put together look. I prefer black for most of these pieces it's a professional power color and it's easy to update with a fun blouse or piece of jewelry. Now that I have given you advice on where to shop and what to look for make sure you look for my next blog. Coming this Saturday I will share what to avoid when building a professional wardrobe. Using my styling sessions for the fashion show as inspiration I will give you What Not To Wear in a Professional setting!